Facing divorce is a life-altering challenge that tests people in ways they may have never imagined. Over the years of navigating clients through our divorce mediation program, I have worked with many clients whom I consider to be heroes. It is awe-inspiring that, even at such a desperate stage in their lives, some people can call on personal resources unaware they possessed to make the right decisions. People who can bring clarity of thought and humanity to the decisions that must be made despite their fear, anxiety and anger are truly remarkable. More so, because these choices will have lifelong consequences for them, their spouse, their children and other family members. Clients who can hold negative emotions in check and take the high road generally land in a better place than those allow their emotions to dictate their decisions. So often the message from society, family, friends and the media urges them to guard their own interests at all costs. People who allow this self-defensive attitude to rule in negotiations lose sight of long-term goals. They jeopardize both the financial and emotional quality of their lives post-divorce. 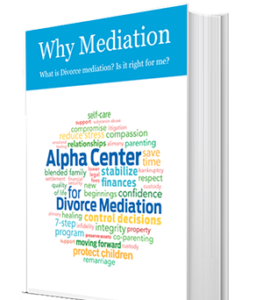 On the other hand, clients who make the decision to focus on what is necessary to get through the divorce are like firefighters who go into a burning building to save someone. They face a difficult and frightening situation with courage and selflessness and do what needs to be done to reach the best outcome. It’s what heroes do. 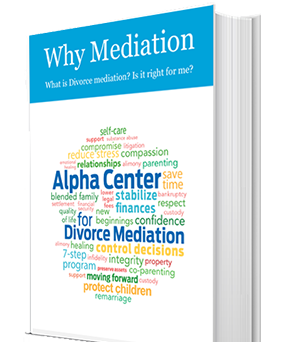 Why Mediation? Is it Right for Me?